Let’s face it, not every homeowner has the space for a massive Douglas Fir tree in their living room. Sometimes you have to think smaller. Artificial trees are a great alternative to live trees, as they’re easy to store, tear down, and set up. However, if this is your first time buying an artificial tree, you’ll want to be careful. Not all artificial trees are made of fire-resistant materials. Most are made of PVC or plastic of some sort that can burn or melt when heated. Make sure to check the tag or box when buying your tree to make sure it’s fire resistant. 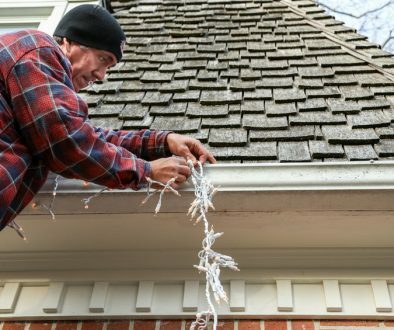 No homeowner wants a nasty surprise when stringing up lights. This may seem like a no-brainer, but we’re often quite distracted during the holiday season. Between all the festivities, sometimes safety slips our minds. So before you find the perfect corner for your Christmas tree, take a moment to evaluate the room. Are there any heat sources that could be potentially dangerous? Live or artificial, it doesn’t take much heat to set a tree on fire. Where are the electrical sockets in relation to the tree? Give yourself at least a few feet of distance between the tree and any outlets for maximum safety. If you love Christmas as much as we do, you’re probably ready to hang up your lights and create an elaborate display. But before you do, remember to check for any broken bulbs and exposed or frayed wires. Electric shock is no laughing matter, so check any lighting before plugging it in. And don’t forget to consult last year’s guide to find out more about energy efficient LED lighting. You’ll need to be wary of more than just electrical hazards. Make sure to blow out any candles before calling it a night and heading to bed. You may feel tempted to let candles burn out on their own. This puts your home and family at an unnecessary risk, particularly if you have pets. If a candle somehow fell over, it could spark a fire capable of destroying your home. We love hanging our stockings by the chimney with care as much as the next person, but be smart about it. 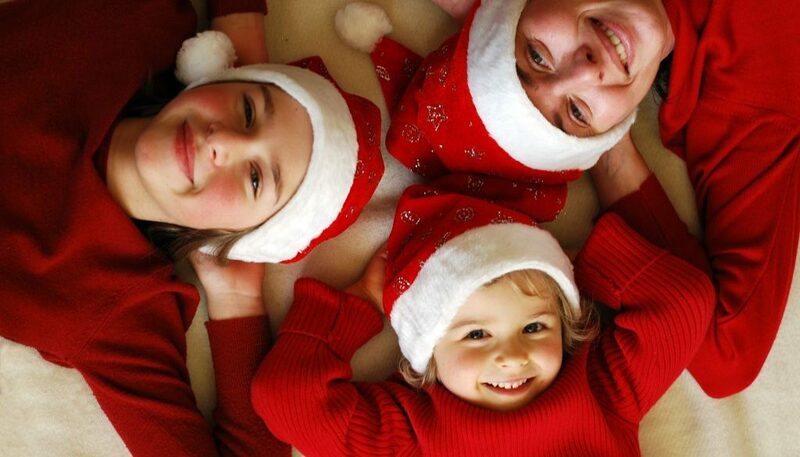 Ensure that your stockings don’t droop too low and create a fire hazard. If you’re placing your stockings near your fireplace, double-check that a wayward ember can’t reach them. The holidays are such a joyous time, and following these Christmas safety tips will make sure everyone is safe and secure. And don’t forget, your friends at Petersen Electric are here to help with any of your electrical needs. If you’d like some tips on LED lighting or just need a repair, get in touch! We’d be happy to help. From all of us at Petersen Electric, have yourself a merry little Christmas!